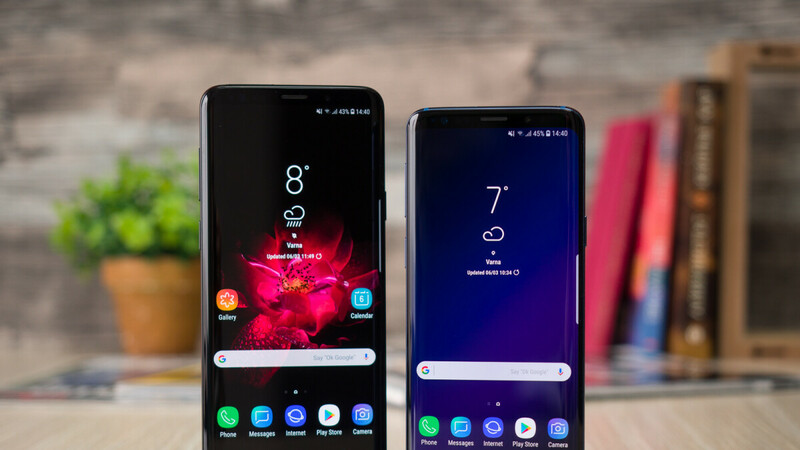 Following a drop in profits last quarter which was attributed to slow Galaxy S9 and S9+ sales, and increased competition from budget brands, a new report is now claiming that Samsung’s flagship lineup shipped only 9 million units during the three-month period ending June. While this number is certainly still impressive and surpasses the total sales of Huawei’s P20 and P20 Pro duo, it marks a clear decline over the first quarter when the brand shipped 10.2 million Galaxy S9 units. Moreover, the fact Q1 sales were stronger than those of Q2 is an indicator of how slow Samsung’s flagship sales are this year in comparison to others. After all, due to the fact that Galaxy S smartphones tend to see a Q1 launch and are only on sale for a limited time during the period, the second quarter of the year is historically the strongest for the series. For reference, the Galaxy S7 and S7 Edge which were released around the same time as this year’s duo saw 10.3 million in sales during the first quarter, which coincides with those of the Galaxy S9, but then went on to sell a further 15.6 million over the course of the following three months, putting total sales at 25.9 million by the end of June. Additionally, even last year’s Galaxy S8 series saw shipments of 21.2 million during the same period, 2 million more than this year’s Galaxy S9 lineup which has been on sale for an extra month. As is typical, sales throughout the remaining months of 2018 are expected to continue declining as other competing devices arrive, although the launch of the Galaxy Note 9 should provide a big boost to Samsung’s overall shipments – the company has reportedly set a goal of 12 million units for 2018. However, arriving in 2019, Samsung will be betting strongly on sales of its anniversary Galaxy S10 series and the popularity of its foldable smartphone. Otherwise, the company could be at risk of an even bigger decline in shipments. not really surprised. just hoping that the s10 will deliver. Agreed. I hope it's worth the wait. What's funny is carriers and OEM's all think people keep wanting to buy $900 phones. They don't. Budget models are selling like crazy, especially in stores. I told you this would happen, Samsung is done! I told you this would happen, Samsung is done! I told you this would happen, Samsung is done! I told you this would happen, Samsung is done! I told you this would happen, Samsung is done! I told you this would happen, Samsung is done! I told you this would happen, Samsung is done! I told you this would happen, Samsung is done! I told you this would happen, Samsung is done! I told you this would happen, Samsung is done! You're literally one of the reasons why I find the Apple community to be unbearably toxic and immature to the point I'm ashamed of even owning a phone from them. Instead of spouting repetitive nonsense, act like you have a brain and come to the conclusion this was an incremental update for the S Line. The S9/S9+ is an excellent device, but it's not worth an upgrade from the S8. Like the 6S to the 7.
yup. even as an iphone user, they are embarrassing. Dude, I'm writing my mean comments just for Apple haters and Samsung fanboys which are normally very vicious and stupid. To answer their ego we also have to talk their own language, that's the only way they understand what we are saying. By resentment, by shaming them and by bullying them regarding their fanboysm. If we take the high road and be gentlemen all the time their rhetoric wins even though it is baseless and untrue. Compared to the Samsung Fanboys you all are more obnoxious and it gets more aggravating when more comment. Their community is toxic, but not as toxic as the Apple community on here. Why can't you all just respect each other's opinions and comment on articles like adults instead of resorting to actions comparable to a 13 year old in middle school? The main problem is that that piyath got stuck with a used iphone 6 which he bought using his yearly savings and now has to justify his purchase for himself by crying over every article. For me , as a person who buy both the latest iPhone available and multiple androids . Mostly S series / Note series every single year , i can clearly tell you IMHO that apart from a few nit pickings , S9+ is the best phone period. My current phones are S9+ , iPhone X and the Oneplus 5T Star wars edition. I use most features of both platforms . As of now , S9+ is better phone IMHO buy a decent margin. Piyath is just a frustrated kid who likes to rant . Piyath - Free advice. Go see a shrink. Might help you with your life. This is relatively very minor chink in the armour of the company that is Samsung. Same happened with S5, and they bounced back with S6. Unlike Nokia of the old, Samsung is willing to listen, adapt and even innovate to a certain extent. S9 is more of the same but S10 could be a blast !! Meh.. The S10 will knock it outta the park. That and the 2019 iphones are the phones to get tbh. Along with the next P Pro... hopefully. It probably excels at being the most feature-packed smartphone. Or atleast number 2 after the Note 8. The S9+ is better than the P20 Pro in almost everything. S9 plus better than P20 Pro try out the P20 Pro not worth it Kirin 970 still not in par with Exyons 9810. No, obviously not as the lord has spoken. Not worth an upgrade from. S7 to s9. The form factor is a huge downgrade as far as I'm concerned. I love the size and the 16:9 flat screen of the S7. LMAO. Just like I predicted. Samsung's Touchwiz should be an app suite - not integrated. Then, I'd be into them. The S9/9+ are excellent phones. I just think the combination of the S7s and 8 being as strong as they are (and big investments), along with the anticipation of the 10 is causing people to hold and wait. Edit: Oh, and yes, there are more very good choices than ever. I was one of them, that is until they offered $300 in trade for my backup S7 (still working 100% perfectly) against an S9. Now my S8 will become a backup. Too good a deal to pass up.